Know all about Mort Root Word and words related to it. It is a famous saying: We are but mere mortals. 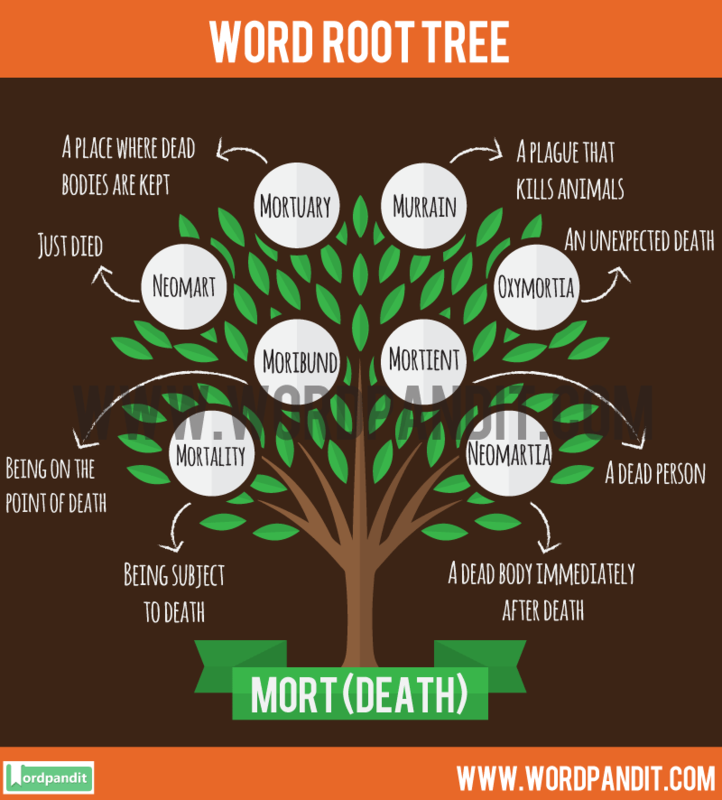 The Word Root Mort comes from Latin mors, mort means ‘death’. Therefore, this saying means that we are not gods, but humans who will definitely die. Interestingly, the word mort is an archaic word, and it was used to describe the horn’s sound when the quarry was killed. Let’s look at the more contemporary word immortal that relates to things that cannot die and will last forever. Every time he thought about the mortgage, he wished he had been moribund. Hope you are able to learn some words related to Mort Root Word from this article. Remember, it is all about increasing your vocabulary and word roots is a wonderful method of learning multiple words at the same time.